40 years of experience in liquidied gases pumps. High performance and low operating cost. We develops versatile pumps at the maintenance stage lacking of cavitations problems and avoiding flow and pressure deficiencies. Our large variety of centrifugal and regenerative pumps comprising all the needs and different applications of this market, constantly growing. Based on our experience and research, designed easy maintenance and highly versatile pumps, impeccably fulfilling their functions. 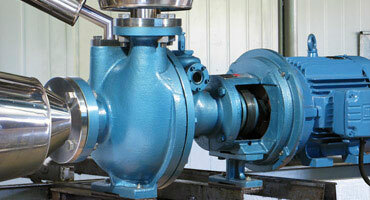 We manufacture a wide range of pumps with 40 years experience in the market for liquefied gases. Our philosophy is to create an unique solution for the recirculation of liquefied gases. Our experienced personnel, with excellent performance in after sales support. We are committed to continuous improvement based on constant contact with our customers. 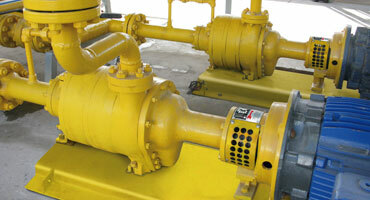 Centrifugal pump specially designed to transfer of LPG and liquid fuels from tank trucks. 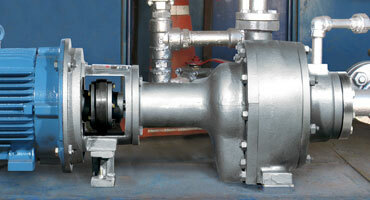 Centrifugal pump for recirculation of carbon dioxide in sustainable refrigeration systems.